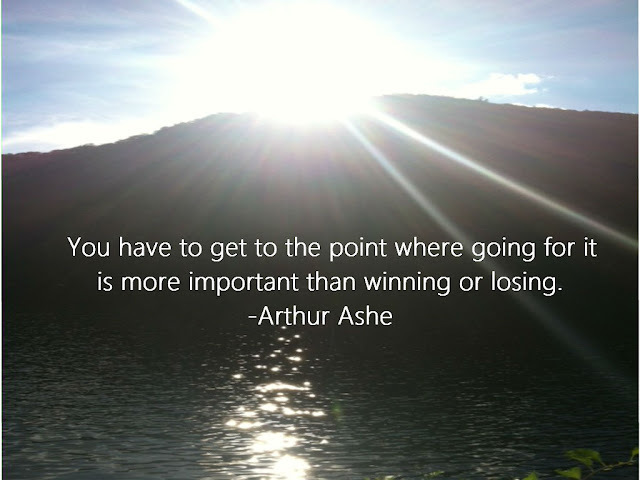 In planning our future, Ash and I sometimes get caught up in our doubts about whether we'll ever get to our goals. This quote helps remind me that if we spend more time questioning the outcome than we do taking steps toward our goals, we'll never get to where we need to be. So, we have a new rule: Go for it. The outcome will be what it will be but, we don't want to regret not moving in the direction of our dreams. Hope this quote inspires you to do the same. Happy Monday! Photo: Taken at Bear Mountain during Oktoberfest, 2012.